We are excited to announce that we have officially purchased a piece of land in Mizak to be used for our community activities! A photo of the land. There’s nothing there yet, be we’re making plans! For the past year of our activities within the community we have depended upon the donations of our members who have allowed us to borrow pieces of land for our agricultural projects, as well as our partner, Living Media International, for always letting us use their space for our meetings and activities. Now as we continue to grow we look forward to having our own space to grow in. We will still keep our tree nursery located on its current piece of land next to the Meac Lake, but we plan to use this new piece of land as a place to build a headquarters for LaVallee De Demain and a distribution center for the trees and vegetables that we grow down by the lake. 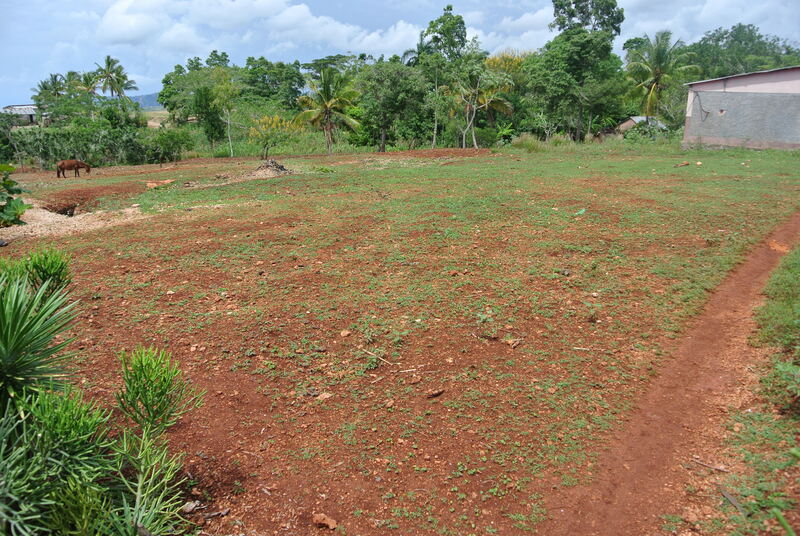 This land is centrally located in the community which will make it convenient for expanding our distribution options as well as our ability to provide education in agriculture to local farmers. We are currently working on drawing up a full proposal of what we would like to build on the land. In addition to providing us with a headquarters to operate out of and receive visitors and members, we are excited to be proposing a grain bank as part of the project which would provide families in the community with grains that they need in the seasons when their own harvests have already been used up and they need extra help in providing for their families. It is in these down seasons when grain gets very expensive to purchase because it is so scarce and it becomes very difficult for many families to get by. Our grain bank would seek to bring some relief in those times. We will provide more information on the full project once we have completed the proposal and had our members approve the plans so that our friends and supporters may know how they can get involved. Thank you to all who have helped us reach this new milestone!